In addition to the scientific program, social events are a great way to meet colleagues and share experiences at informal occasions in a relaxing atmosphere. 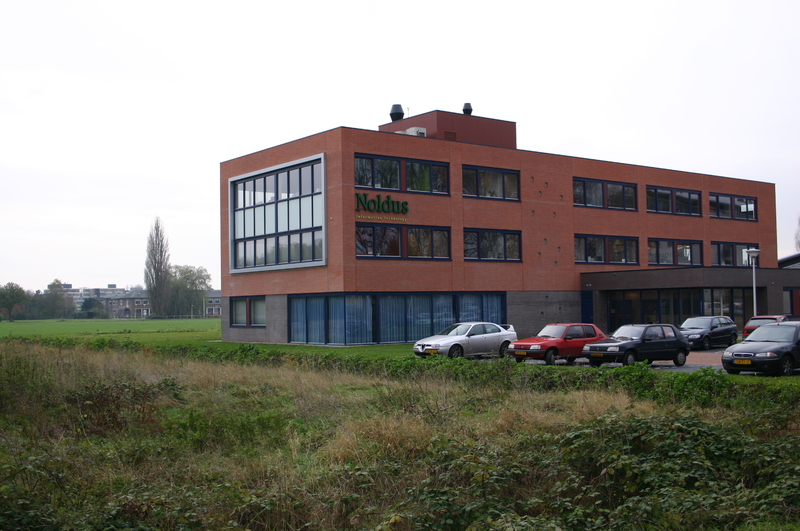 The meeting started with an informal welcome reception at the new Noldus building. This building and the conference were officially - and festively - opened that evenin by Prof. dr. Wim van Vierssen (Director General Environmental Sciences Group, Wageningen University and Research Centre, Wageningen, The Netherlands). Park Sonsbeek is a lovely park in the centre of Arnhem, landscaped for a baron in the 19th century in the tradition of English gardens. During this social event the participants were welcomed with a light appetizer, after which they could enjoy a great guided walk (approx. one hour) through the park along streams and ponds. The guides explained the history and use of water in (the construction of) the park and the tour ended at Villa Sonsbeek. 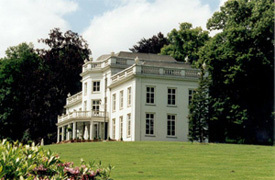 Villa Sonsbeek is a monumental country house with an extraordinary classical appearance where a tasteful dinner was served to complete a wonderful evening. Guided Tour and Dinner in "De Blauwe Kamer"
The "Blauwe Kamer" is a beautiful wildlife sanctuary situated right beside the river Rhine. We set up a unique arrangement for the visitors of this conference. Tha participants enjoyed a fantastic scenic walk (approx. one hour) during which we were accompanied by experienced guides. The group was split up in smaller groups, so the guides had enough time to tell all about this beautiful nature reserve and answer your questions. This walk was a perfect appetizer for the dinner in restaurant "De Blaauwe Kamer", which has a wonderful view on the surroundings. We had the pleasure to welcome you in the historic Rosendael castle. The beautiful rosegarden is perfect for a relaxing walk after a hectic conference day. The participants enjoyed a luxurious buffet dinner in these pleasant surroundings, which date back to the year 1314. Although several changes have been made since then, the old grandeur still lives on in the castle, rose garden, park and conservatory. After the closing session of Measuring Behavior 2005 it was time to say goodbye again. It was also a good moment to evaluate the conference with all delegates during the farewell drinks.